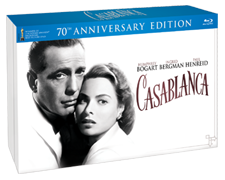 Classic Cinema Online is helping celebrate the 70th Anniversary of Casablanca with a give away! Keep reading for more information! Today Classic Cinema Online features Treasure Island (1950), which is an adventure the whole family can enjoy. 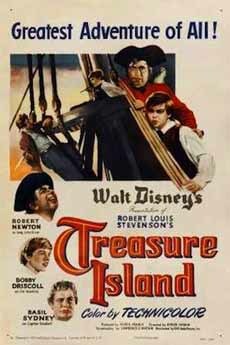 The story depicts a young lad, Jim Hawkins (Bobby Driscoll) who finds himself on an adventurous excursion with none other than Long John Silver (Robert Newton), in a quest for buried treasure. Somehow Silver takes a liking to the boy and while he's rough with him, there's also some tenderness there. Treasure Island was Disney's first live-action motion picture, and we can see from subsequent live action releases that this film was a good investment for Disney, as it set the tone of charm and family orientation that Disney is so famous for. Films like this never get old, as they are still enjoyed by the multitudes today. 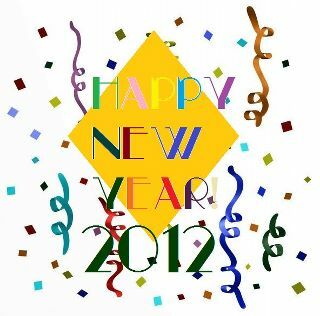 Classic Cinema Online wishes each and every one of you a happy and prosperous 2012! This year brings a few subtle changes to Classic Cinema Online. More reviews, more links, more blog, and an extended movie week. 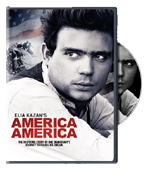 This is the story of film Director Elia Kazan's uncle, who emigrated to America from Turkey in the late 1800's. This film should give all Americans an appreciation for the hardships that so many immigrants have endured in their quest to escape the injustices of their home land to make it - legally - to the shores of America. Casablanca is a romantic drama set in WWII era Casablanca, Morocco; which seems to be a stopping and waiting point for Europeans as they make their way to "the new world".